Its a new place to us. Though we walked passed this place several times. Then an opportunity came. The discounted deal. 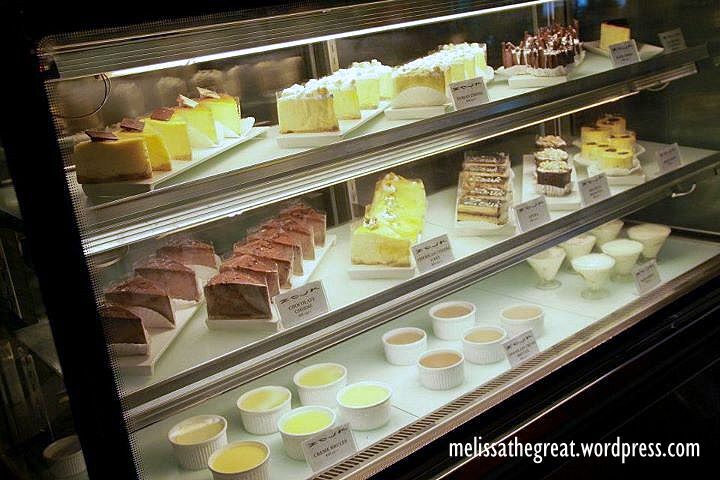 We thought this could be a good chance for us to try the food here. 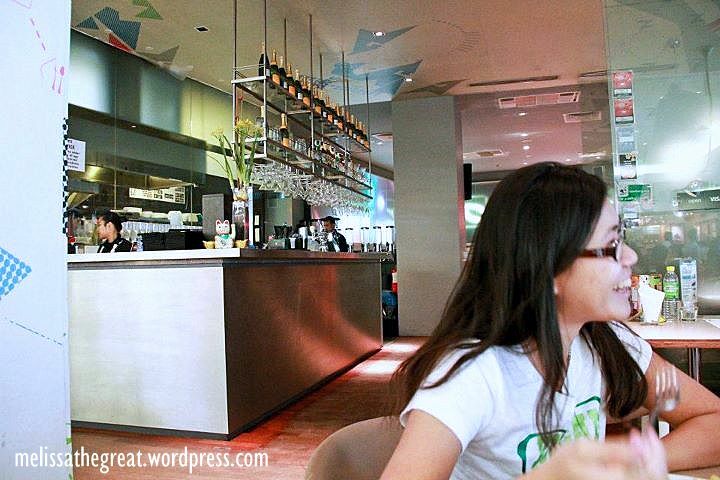 With groupon’s deal of just RM19… What am I getting here? 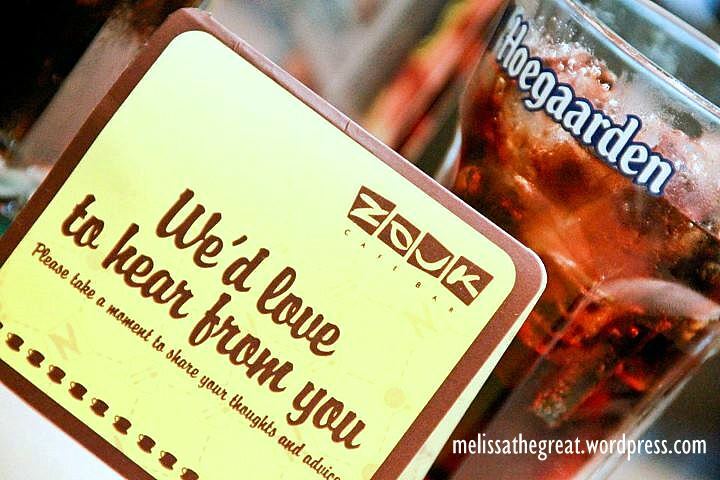 Zouk Cafe Bar Burger or Spaghetti Bolognese + Free Flow Soft Drink. 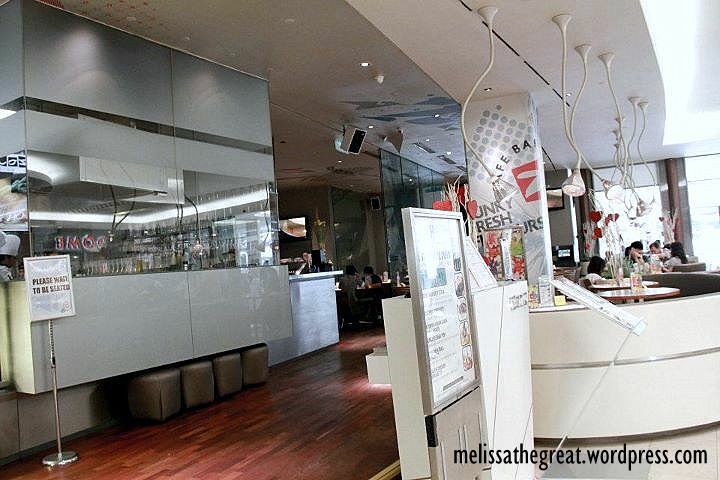 The modern yet sophisticated design gave me the urge to try the food. I’ve read some blogs mentioned that the service here is VERY SLOW & Inefficient. However during our visit, it was fine. Food served pretty quick and quite efficient too. 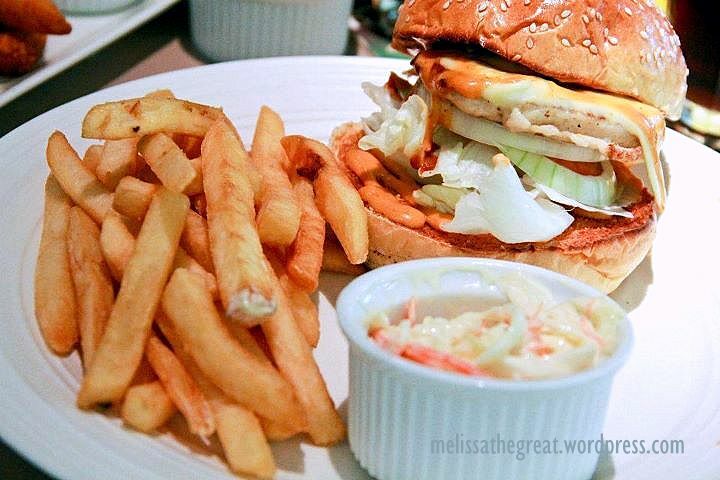 Zouk Cafe Bar Burger served together with coleslaw and french fries. 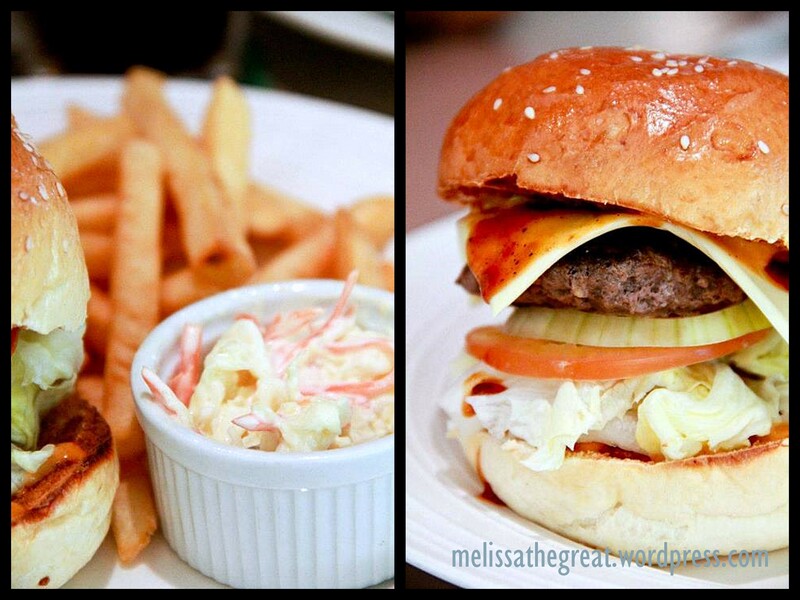 Looks good…too bad, the beef patty was quite dry. 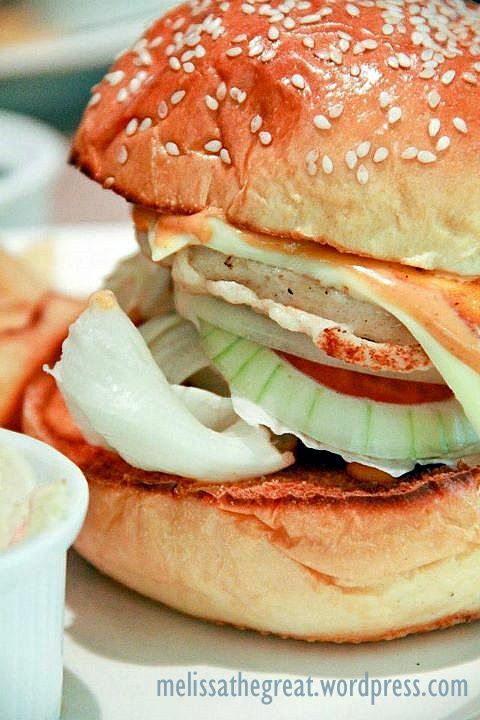 Ashley and I chose Chicken Burger. 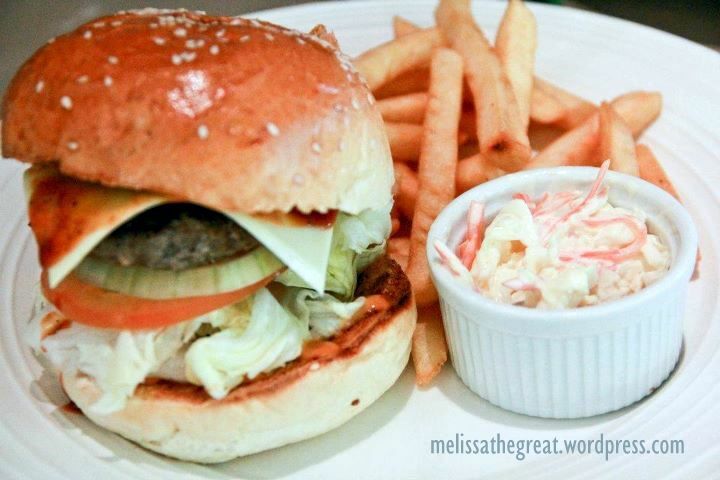 Apart from the french fries and coleslaw…the burger was so so only. I felt the lack of juiciness on the meat patties. Ashley had a tough time handling the ‘tower’. 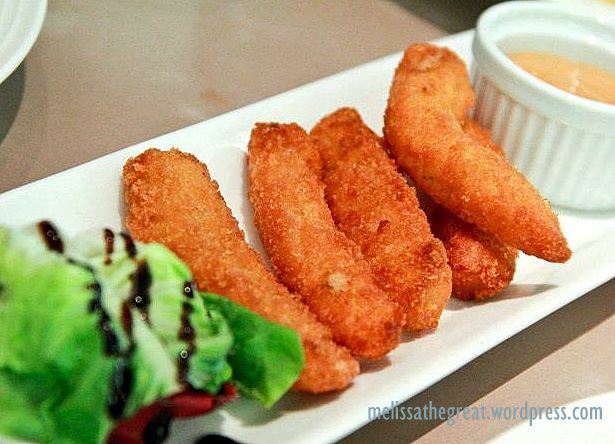 We thought it wouldn’t be enough….so, we ordered an additional plate of Fish Fingers from the menu for RM15++. The fried fish fingers were good. Crispy batter and not too oily. 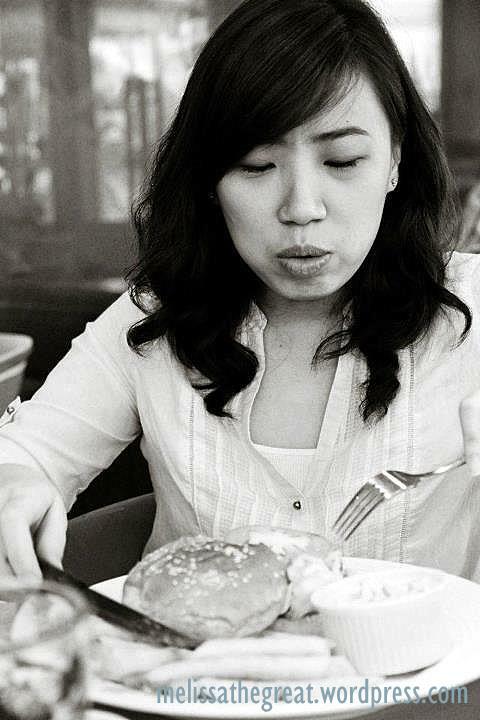 The potential Zouk Ambassador??? LMAO!! 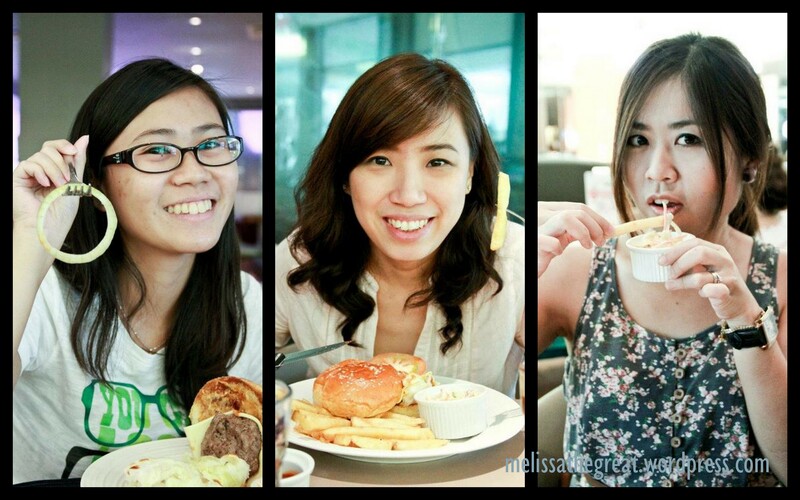 i agree it is a very nice environment..
Food Dreams – Yalo…its so different from their photo. I do hope they’ll look into it and improve it.